Russia has opposed the new Arab-European draft resolution on Syria presented by Morocco in the UN Security Council on Friday. 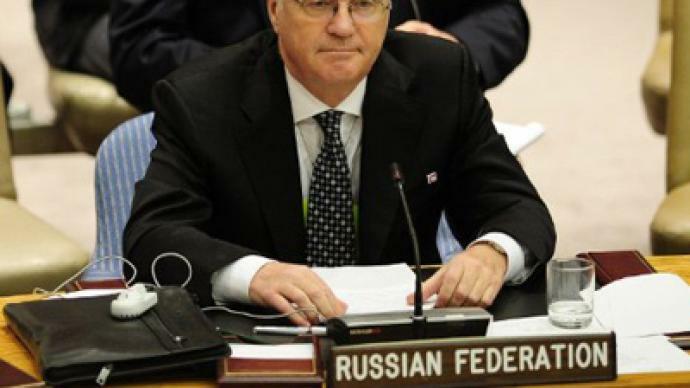 Russia’s ambassador to the UN says it will continue to search for ways to end the ongoing bloodshed there. As RT’s Marina Portnaya reports from New York, Russia’s ambassador to the UN, Vitaly Churkin, expressed “deep” disappointment with the draft, indicating that he does not believe that the international community should impose an outside solution on the Syrian conflict. He also rejected the idea of an arms embargo or the use of force being imposed on Syria. “The proposed draft resolution cannot be used as the basis of solving the situation, but we are ready to continue working,” Churkin said. He added that not only does the draft ignore the line Russia cannot cross, but also “adds new elements” to which Moscow will not agree as a matter of principle. The draft resolution expresses “grave concern” over the deteriorating situation in Syria, condemns the Syrian authorities for “widespread and gross violations of human rights and fundamental freedoms” and demands that all parties end the violence. Most importantly, it calls on President Bashar Assad to transfer full power to his deputy and to fully cooperate with the national unity government. Earlier, Russia vowed to block any resolution that calls for President Assad to step down and proposed its own draft resolution, which was considered too soft by the West. In October, Russia and China, both permanent members of the Security Council, vetoed an earlier Western draft resolution on Syria, warning against a repeat of the Libya scenario. The Western countries and the Arab League have demanded that Bashar Assad resigns as part of a transition to democracy, a call rejected by Damascus. 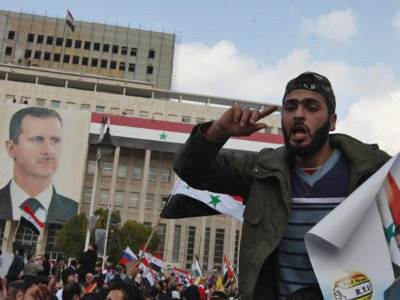 The Syrian government says it is fighting foreign-backed armed “terrorists” who have killed 2,000 soldiers and police. 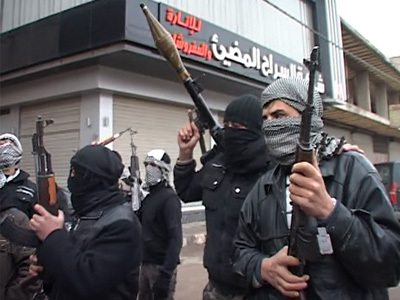 Clashes between President Assad's forces and anti-government gunmen continue in many parts of the country including the capital. The UN says that the continuing bloodshed in Syria has already claimed more than 5,400 lives since the country was swept by unrest in March amid the wave of uprisings across the Arab world. However, the UN High Commissioner for Human Rights, Navi Pillay, said that up-to-date figures are difficult to come by as some areas, including parts of the troubled city of Homs, are now “completely closed” off to the world. ­Middle-East blogger Karl Sharro believes that outside forces are only further confusing situation in Syria. Sharro noted that while the West is trying to “claim the moral high ground” and hint at intervention into Syria it really does not have any clear plan. “The West should learn from its mistakes and abandon this misplaced notion that it’s their responsibility to sort out the situation in Syria,” he concluded. 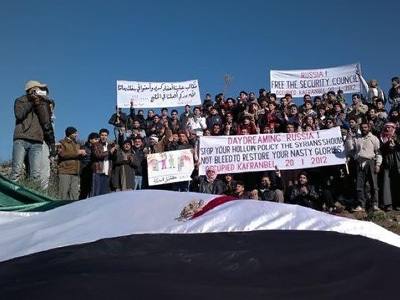 ­As long as US policies prevail over the Syrian conflict there will be no solution to the crisis, insists Lawrence K. Freeman from the Executive Intelligence Review. “There is a very aggressive policy which is being pushed by the United State and the British for regime change. And the Russians, the Chinese and other people, and people in the Arab League are not going to go along with that. It’s unacceptable. Unless we get a change in policy the difficulties are actually going to get worse,” he warned.